Please preregister! Space is limited! Please email Chase@battlegroundgames.com with any questions. Guilds of Ravnica will be released on Friday, October 5th and we will have a full line-up of events for you to crack packs, build decks and play Magic at both of our stores! 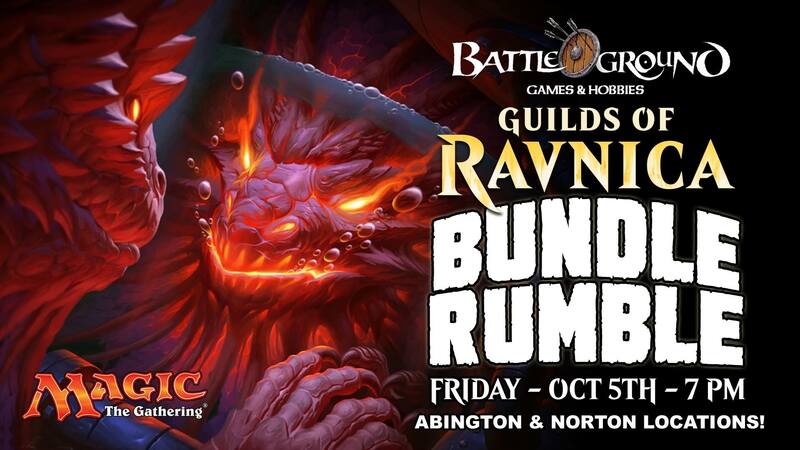 The weekend will kick off with our flagship Sealed Deck style event, the Bundle Rumble. 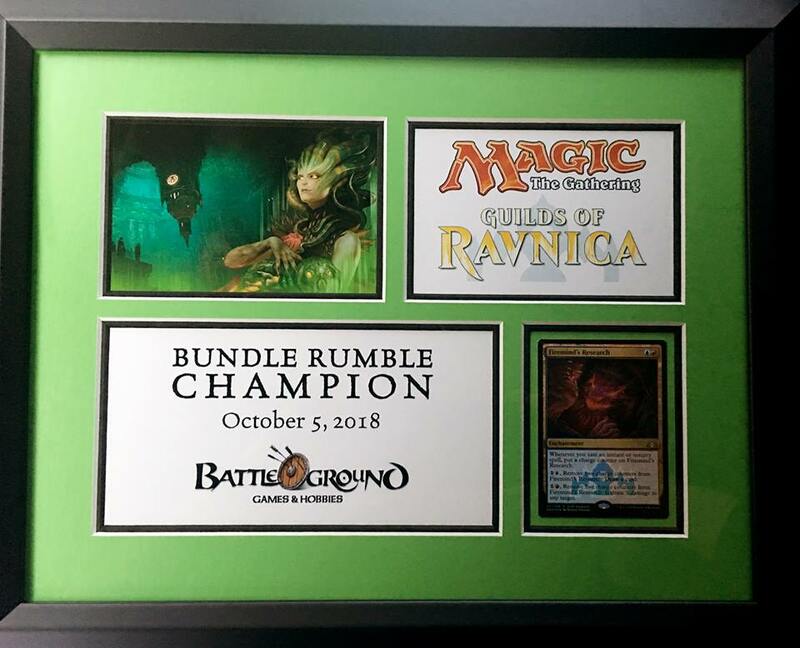 The Battleground Bundle Rumble is taking place on Friday night, 10/5/2018, in Abington and Norton (run in place of Standard FNM). These are the ultimate sealed events – where you open packs, build a deck and play with just the contents of a Guilds of Ravnica Bundle! The concept of the Bundle Rumble is pretty simple. Each player will receive a Guilds of Ravnica Bundle with which to build a 40 card deck. Players may use ONLY what is inside of their Bundle to construct their decks. No additional land will be provided! This event is essentially a 10 pack sealed deck tournament. Player’s in the event will be competing for glory and a super sweet commemorative plaque. No other prizes will be award for this event. Don’t forget to check out Battleground’s Online Store for Magic Product and Supplies!